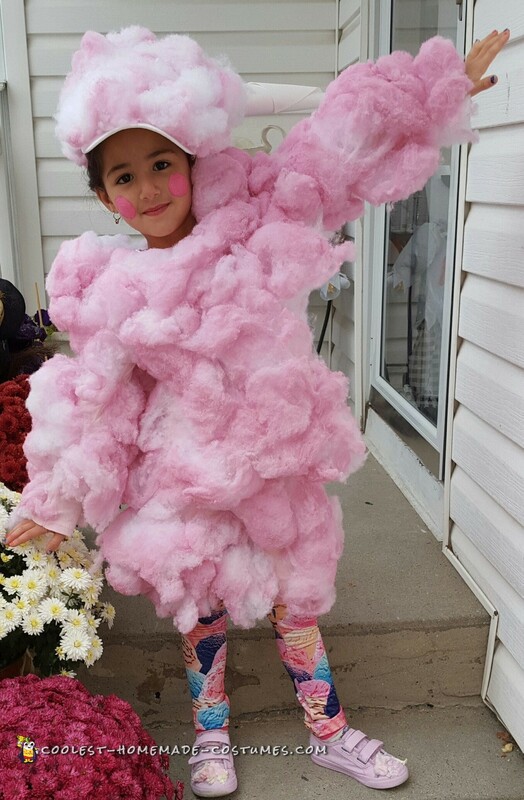 This Cotton Candy costume was for my daughter. We all went as baseball themed. I started with an old t- shirt. I bought tights that had cotton candy and ice cream on them. I used pillow batting and hot glued it to the pants and shirt. Once dried I sprayed it with candy pink spray paint. Her hat I cut a hole in the top and took poster board paper for the cone. I rolled it up in such a way so it was pointy. Then I glued the cone in the hat so the point stuck out of the hole.